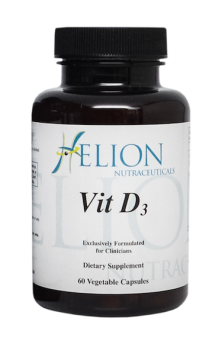 Vitamin D3 as Cholecalciferol: Vitamin D3 enhances calcium absorption and retention, a key nutritional role in supporting healthy bones, and may play a potential role in cardiovascular, colon and cellular health. 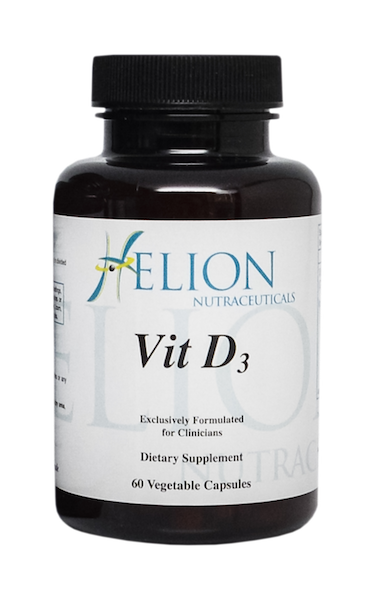 Vitamin D levels have been shown to decline with age, due primarily to a reduction in either absorption or metabolism by the liver. Decreased exposure to sunlight or a vegetarian diet play a role in inadequate vitamin D levels. *Inulin: Inulin is a type of dietary fiber that is naturally found in hundreds of common foods such as leeks, artichokes, asparagus, onions, garlic, bananas, wheat, rye, and chicory root. Inulin fiber is a carbohydrate belonging to a class of compounds known as fructans. Because inulin fiber is resistant to digestion in the upper gastrointestional tract it reaches the large intestine essentially intact, where it is fermented by indigenous bacteria. Inulin fiber naturally occurs as a series of oligo- and polysaccharides with different chain lengths. Inulin fiber is not absorbed from the gastrointestinal system. Perhaps the best-known nutritional effects of inulin and oligofructose are their actions to stimulate bifidobacteria growth in the intestine. Preliminary studies suggest that adding inulin to calcium-rich foods like yogurt may boost calcium absorption. Soluble and insoluble fibers both contribute to gastrointestinal health, albeit in different ways. Insoluble fibers contribute to gastrointestinal health by promoting regularity and peristalsis, yet a soluble fiber such as inulin boasts a somewhat wider range of benefits. Unlike their insoluble counterparts, soluble fibers are fermentable and their contribution to gastrointestinal health consists largely of the by-products of this fermentation, including short chain fatty acids (SCFA’s) such as butyric and propionic acid. These in turn help regulate glucose metabolism, lower plasma cholesterol levels, stimulate the immune system, and of course promote the growth of beneficial gastrointestinal flora. Inulin also boasts one of the lowest glycemic indexes (GI) of any carbohydrate source and can also improve the absorption of the essential mineral calcium. Calcium and Iron Absorption: Since it has been established that inulin’s prebiotic capability results in the overall improved state of the gastrointestinal system, it stands to reason that such an improvement can encompass the villus. Simply put, the villus is the vast complex that lines the entire length of the intestine and is responsible for absorbing the nutrients from the food we eat. One of the essential nutrients is the mineral calcium, and inulin has indeed been studied for its ability to increase calcium absorption. One placebo-controlled study conducted among 59 young girls (at or near menarche) found that inulin supplementation increased calcium absorption by more than 15%. Another study conducted among 9 healthy adults (average age: 25.5 years) found that inulin supplementation increased the absorption of calcium by 58%. Finally, in another randomized, double-blind study – this one conducted among postmenopausal female subjects (the highest risk group for osteoporosis) – inulin supplementation increased calcium absorption by 16%.